Mix the bananas and cake flour. Place the eggs, melted butter, vanilla extract and buttermilk in a mixing bowl and whisk lightly. Pour the wet mixture over the banana mixture and mix well, taking care not to overmix. Place a pan over a medium heat and add a little butter. Once the butter has melted, drop spoonfuls of the flapjack mixture into the pan, cook until the surface bubbles, then turn and cook the other side. Serve hot with a spoonful of buttermilk and honeycomb. 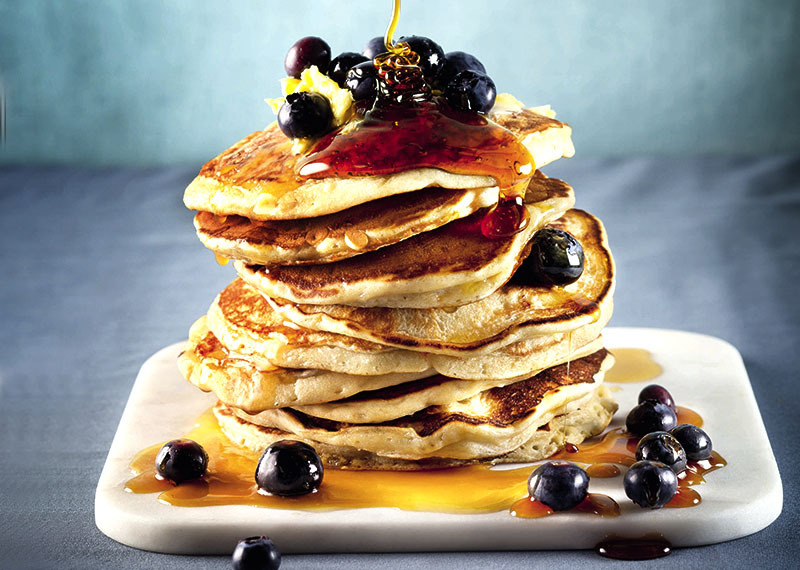 Cook’s note: If you’re making our cover version, serve with maple syrup, blueberries and melted butter.